Here is the current executive committee. Nigel graduated from the University of Edinburgh in Scotland in 1976 and since then has worked with poultry - firstly in a general veterinary practice and since 1980 on his own. Initially, he worked mainly with turkeys but then got more involved with chickens, having several of the UK's then major producers among his clients. Since 1990, he has focused more on international work, mainly in Africa and Asia, and for many years was veterinary consultant to one of the world's largest duck companies with involvement from breeding through to the cooking plants. This work also involved a lot of technical training and over a 25 year spell he has trained more than 3,000 poultry personnel on management courses in South Africa. Nigel has served BVPA in the UK for many years and was their president from 2005-2007. He joined WVPA's executive in 2009 and for two years was Editor of Aerosols. In 2011 Nigel was elected Vice President and in 2015 he became President of WVPA. Aini Ideris graduated with a DVM in 1979 from Universiti Pertanian Malaysia (UPM), currently Universiti Putra Malaysia, an MVSc in Avian Medicine from the University of Liverpool, England, in 1981, and a PhD in 1989 from UPM. She continued to do further postdoctoral training at the University of California, Davis, USA. from 1990-1992 and at Cornell University, USA, in 1993. 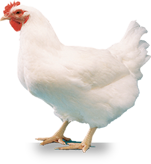 Aini has been actively involved in research related to the control of poultry diseases and development of poultry vaccines. Her research interests are in avian respiratory and immunosuppressive diseases, which have led to the commercialisation of Newcastle disease vaccine and tissue culture adapted fowl pox vaccine, in 1995 and 1996 respectively. She is also very active in professional associations, either nationally or internationally. Among others, she was the Deputy Chairman for the Veterinary Association Malaysia Education Trust Fund, Honorary Treasurer for WPSA Malaysia, and the Founding President of WVPA Malaysia. In 2013, she was inducted as an inaugural member of the Hall of Honour, WVPA. In recognition of her scientific contributions, Aini was appointed as Fellow Academy of Sciences (FASc) Malaysia in 2008, Founding Fellow of Malaysian College of Veterinary Specialists (FMCVS) and Fellow of Malaysian Scientific Association (FMSA). In October 2011 she was elected as Fellow of the Islamic World Academy of Sciences (FIAS). Aini has held various administrative positions in UPM, such as Chairman of Veterinary Teaching Hospital, Deputy Dean Faculty of Veterinary Medicine, Dean School of Graduate Studies and Deputy Vice Chancellor (Academic and International). Currently, she is the Director, Corporate Strategy & Communications Office (CoSComm), Universiti Putra Malaysia. Nicolas received his Doctor of Veterinary Medicine degree from the National Veterinary School of Nantes, France, in 1989 and specialised in intensive animal production at the National Agronomic School in Rennes, France, in 1990. He was trained as a molecular virologist at the Pasteur institute in Paris (1995) and obtained his PhD in molecular virology from Rennes University (1998). Nicolas has held a permanent position at the National Laboratory for Avian Pathology (now Anses-Ploufragan Plouzané laboratory) since 1991. He is now assistant head of the laboratory, head of the avian and rabbit virology and parasitology (VIPAC) research unit, and OIE expert for infectious bursal disease and avian metapneumovirus infections. In 2007, Nicolas was one of the founding members of the European College for Poultry Veterinary Sciences, for which he now serves as Vice President. Nicolas has been serving as the corresponding secretary of the French branch of WVPA since 2001 and, as such, he contributed to organising the XVIIIth WVPA congress in 2013 in Nantes. He joined the WVPA executive in 2015. François-Xavier graduated from the National Veterinary School of Alfort (Paris-France) in 1980 and specialised in Veterinary Public Health in 1981. He then followed microbiology/immunology courses at the Pasteur Institute and joined the National Laboratory for Avian Pathology (now ANSES-Ploufragan laboratory) where he specialised in poultry science. In 1986 he joined the future Merial in Lyon, where he held various management positions related to avian vaccines (quality control, clinical analysis, project leader). He is currently Director of Avian Biologics R&D projects in Merial Lyon-Gerland laboratory. François-Xavier is also a board member of the French branch of the WVPA and Diplomate/board member of the European College of Poultry Veterinary Science. At 16 years old Philip worked in a commercial broiler hatchery part time whilst undertaking his A Levels so got first hand exposure to the poultry industry. Philip then studied at the Royal Veterinary College in London for 5 years to become a veterinarian in 2003. During his undergraduate years Philip undertook research on behalf of a primary breeding company into Mycoplasma diagnostics, and in 2003 developed a new PCR test for diagnosing and strain identifying Mycoplasma synoviae infections in poultry which he later published. Upon qualifying Philip took a position with a leading UK 100% dedicated poultry practice and laboratory- Crowshall Veterinary Services in Norfolk, working along side Stephen Lister and Claire Knott. The practice provides service to the UK and international poultry industry. Philip quickly gained experience working with broilers, broiler breeders, turkeys, ducks, geese, laying hens and gamebirds. The practice also deals with primary breeders, free range, organic and conventional systems. In 2008 Philip became a partner at Crowshall Veterinary Services which now boasts a 7 strong vet team and UKAS accredited laboratory. Philip is also a member of the Houghton trust. In 2009, Philip undertook a Post Graduate Certificate in Avian Health (University of Melbourne) which he completed with Honours, this was quickly followed by a Masters Degree in Avian Health (University of Melbourne/University of Georgia (US)). In 2013 Philip received the WVPA Young Poultry Veterinarian of the Year award, and in the same year the UK EPIC Young Poultry Person Year Award. Philip is the WVPA UK branch secretary, and in 2013 took the BVPA team to Nantes to successfully win the bid to hold WVPA Congress 2017 in Edinburgh. Philip was the Chairman of the WVPA Congress 2017 local organising committee. Philip is also the Norfolk Chicken Association Chairman,and in 2017 became President of the BVPA. Damer Blake is Professor of Parasite Genetics at the Royal Veterinary College in the UK. He is also Editor-in-Chief of the journal Avian Pathology. He is interested in parasites which infect birds, including aspects of genetics, diagnostics and vaccine development, as well as bacterial co-infections and host immune responses. Damer graduated with a degree in Animal Science from Wye College (University of London) in 1997. Following an MSc in Pig Production, he completed a PhD in bacterial genetics, both at the University of Aberdeen. After the completion of his PhD in 2001 he took up a post at the Institute for Animal Health (IAH) working on avian coccidiosis. In 2010 Damer joined the Royal Veterinary College, where he was appointed professor in 2016.